Frances is using Smore newsletters to spread the word online. Hi, My name is Frances Weissenberger and I am Region XV's Southern Elementary Principal Council Representative. 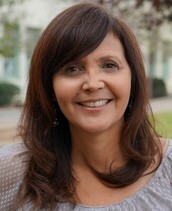 I am currently Principal at Hamilton Elementary School in Pasadena. Our first event of the 15-16 school year is a Site Visit and Collaborative Lunch that is open to any Region XV Elementary Principal. In addition to touring classrooms, I would like to provide a forum for us to discuss and share information on innovative and creative practices at our schools. This is a great opportunity to network with your peers. Topic Dicussion: Innovative and Creative practices at our schools. Our Objective: To walk away with shared best practices that will help us become better prepared to do our amazing work. Please RSVP by November 13th to weissenberger.france@pusd.us or you can call 626-396-5730 X 26099.